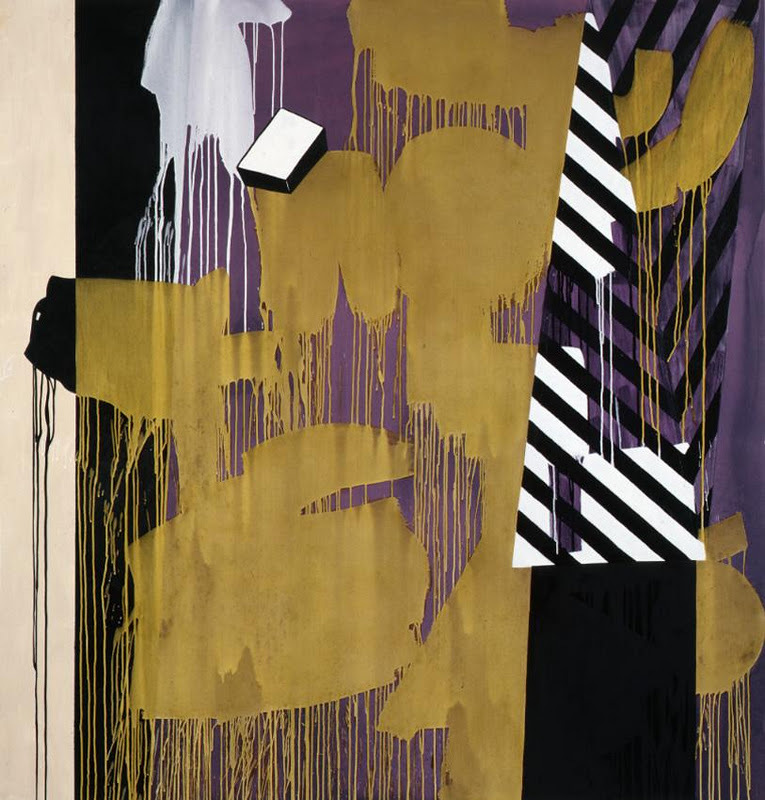 At last, an artist we have championed at Abstraktion for some time, Charline Von Heyl, gets the recognition of a big show in the UK at Tate Liverpool. She is a German artist, who came to prominance in the eighties, moved to New York in 1994, has three studios there (one of them in Marfa, Texas) and is, incidently, married to the artist Christopher Wool. 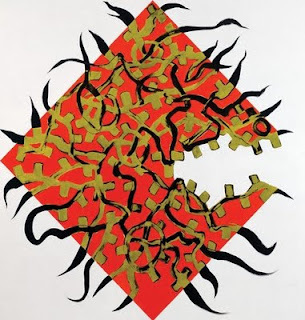 Von Heyl has the experimental approach without relying on digital images that set her apart from many of todays painters, especially in the UK, where there is, in my view, a lazy predominance in the use of the internet that remains in the final work. That is not to say she hasn't and doesn't use such imagery, but she goes beyond it, working through it, masking, layering, distorting, destroying the imagery, then rebuilding it. Why von Heyl is good, is because of her distinct depth of her working processes, through both drawing and studio practice often reminiscent of both Oehlen and Richter, yet still retaining a lightness to her work, sometimes verging on figuration, but giving us a rich expanded field of the possibilities of abstract painting. Charline von Heyl is organised in collaboration with Kunsthalle Nuremberg, where the exhibition will be displayed from 11 July – 30 September 2012. 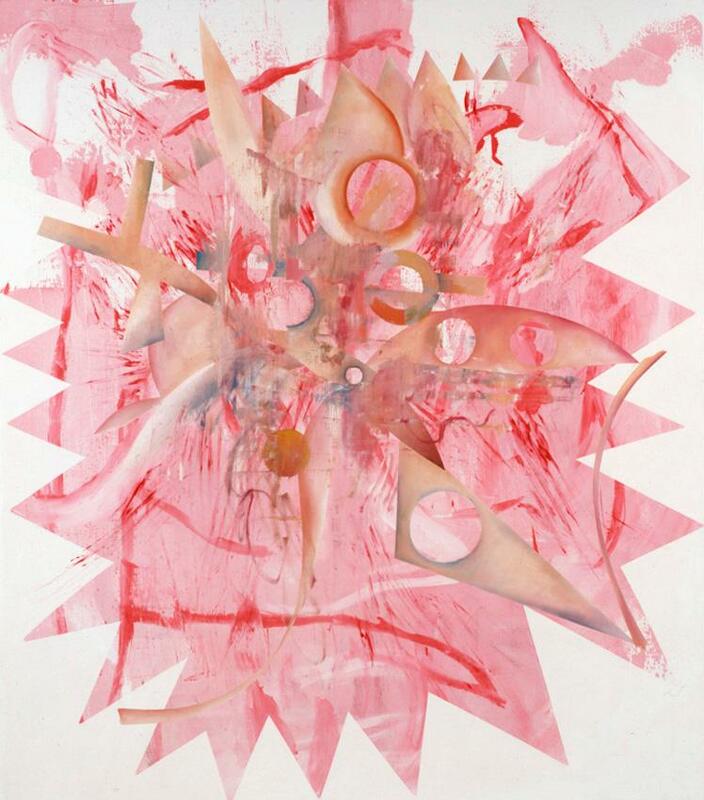 See a great monograph of her work here.